The camera is always oriented in a way that lower border of HFOV (horizontal field of view) is aligned with the bottom side of the object. The dimension of the object for a reference camera tilt angle is given as well as the contour area of this object on the image plane. The reference tilt angle is defined by camera height and distance to the object which are known. Parameters of the camera (fields of view, focal length) are the so known. Is it possible to calculate new the changed contour area on image plane when the camera tilt angle is changed (due to changing object distance or/and camera height)? I would be grateful if someone could point me to methods of calculations applicable here. 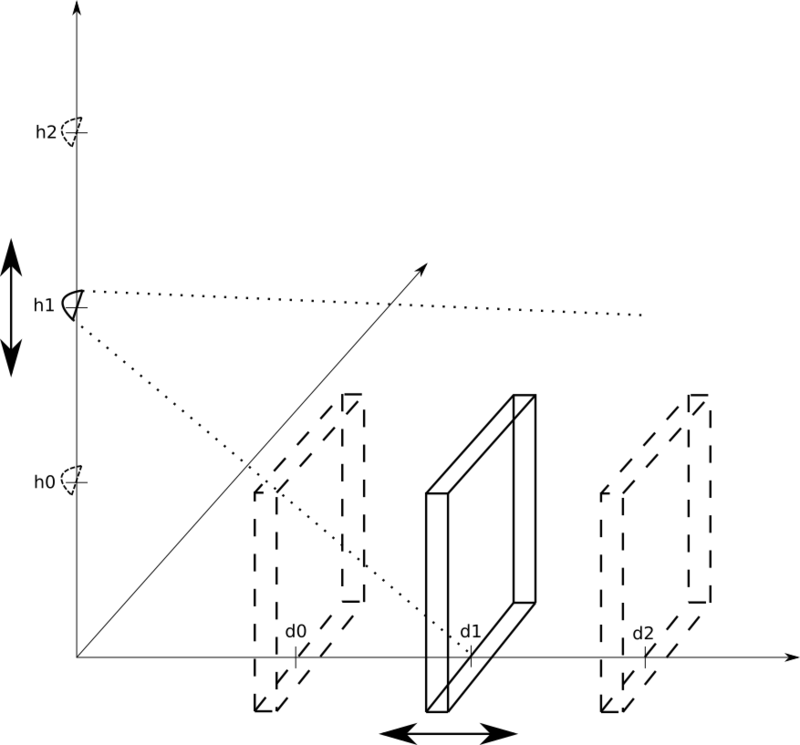 I have found such method as camera transform using pinhole camera model to represent object in 3d space on 2d plane, but seems that it is not what I am looking for. Browse other questions tagged geometry transformation or ask your own question.